I thought I would share the tools I use to trim my horses hooves. 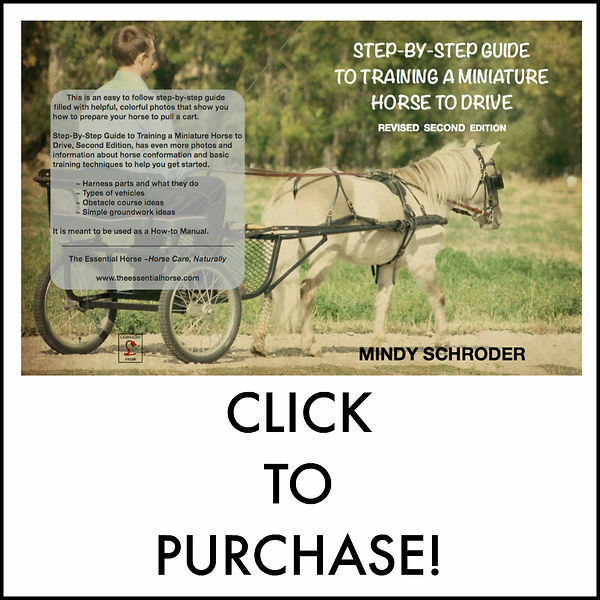 I have just a few simple tools that make my life so much easier and keep my mini’s hooves healthy! Many years ago my Father-in-law went to farrier school. I had a few horses at the time and when he came back he happily worked on my horses and chalked it up to practice. Then I bought a few more miniature horses and my Father-in-law told me it was time I learned to trim my own horses! He was getting busy, didn’t need all the “practice” and trimming my herd of 10 (or more… who’s counting?) was taking up valuable time. So I got down in the dirt and started learning. I went with him when he trimmed other horses so I could watch. I practiced on my own. I practiced some more and watched LOTS of videos. I called my Father-in-law whenever I had any questions. We had long conversations on the phone and when I was really stumped he would come over and work alongside me. After some time went by I had a few friends that had minis and wanted to know if I would trim theirs as well. I figured it would be great practice so I said sure! They paid me a small fee and I learned even more! Pretty soon I saw a need for a miniature horse hoof trimmer. Many farriers didn’t like to trim the little guys because it required kneeling in the dirt. Plus most of them are so busy with the big horses they just can’t find the time to trim the little guys. And I’m sad to say there were a few “farriers” saying they understood miniature horse feet but they were actually causing problems where there weren’t any. I called my Father-in-law again and ran my idea past him… I was going to offer my services to other miniature horse owners and charge a fee. He thought that was a great idea and off I went! I was always honest and let people know that I was taught and coached by my Father-in-law and did NOT go to school for this. My customers were more than happy to have me come trim their ponies and minis! Especially those that had “problem” minis. Little horses that had learned bad habits when it came to having their feet handled and others that hadn’t EVER had their feet trimmed. I wasn’t in a hurry because I only trimmed minis and usually only did one call a day, maybe 3-4 calls a week. So I literally had all day if that was what it took! Of course, after a few trims by me most of the difficult minis were no longer an issue and I could get around them without any problems. A couple friends had big horses and asked me to trim them as well. Again I chalked it up to practice and more learning so I did my best! I never was interested in shoeing, so didn’t have to learn about fitting shoes or nailing anything into a hoof. Then when I got my own big horses I continued to trim them myself. I was able to shadow a barefoot trimmer or two and continued to watch videos and read books. When I had questions my Father-in-law was only a phone call away! Because I wasn’t doing any shoeing- my tools have always been very simple. When I got Billy he had such horrible issues with his sole that I also added a Concave Sole Rasp. Something I have used on a few other big horses as well! When you purchase your hoof tools it’s best to buy the best you can afford as it will save you money in the long run. I have a 15″ pair of Nordic Viking nippers and they were one of the best investments I’ve made! I’ve had them for about 5 years and they are still going strong. I have found that the 14″-15″ nippers work best for me as I have carpal tunnel in both wrists and have little hand strength. Having that extra couple of inches allows me to have a bit more leverage on the hoof. Especially when it’s dry in the summer and their hooves get hard as marble! I use the 14″ Heller Legend Rasp – (with a wooden handle that my Father-in-law gave me.) I love the longer rasp, again, for the leverage it gives me. Sometimes you will find that you have a lot of toe that needs taken off from the top and having a good rasp is very important! I have a friend that does all of her hoof care with only a rasp. And a Hoofjack. But she doesn’t have a pair of nippers and does a beautiful job on her horse’s hooves! My hoof knife is just a cheap one I get from the local feed store. I go through so many of these but haven’t worked up to getting a more expensive one that can be sharpened. My Hubby sharpens the ones I have but they just don’t last long! My hoof pick is pretty wonderful. I wanted one with a more refined end that could get down in the nooks and crannies of the hoof and found the Muller Hoof Pick online! They are made at a forge in Canada and are so affordable at only $15 a piece. I have had mine for many many years now and haven’t ever had to replace it! And the best part is they are made out of old horse shoes! Pretty cool. Of course I always wear a pair of gloves when I trim. And even then the rasp will bite through the glove and get me from time to time. I have old scars all over my knuckles, but so do most farriers! I guess they show a timeline of my learning. I bought my wire brush at the local feed store. It’s actually a brush they use in welding. I needed something with a nice stiff wire bristle to help get some of the particularly sticky mud, dirt and tiny rocks out of the hoof before I put my nippers to it. Nothing will dull nippers quicker than a dirty hoof, or putting them on the ground in the dirt! I keep all my tools in a bag I bought at Home Depot. I think it was for electricians to use. The handles of my raps and my nippers stick out but the bag holds everything perfectly! I also always keep my nippers in the plastic they came in, to keep them clean and slide my rasp back into the cardboard it comes in, also to keep it clean. Feel free to email me with any questions you may have or leave a comment below!